Flash back to February 2010: My husband had won a trip to Hawaii (the Big Island) with his job, and it was our first vacation without our boys since the arrival of baby boy number four two years earlier. This meant that our car was crazy quiet—no one fighting, no one asking for a sippy cup. It meant I had time to just chill, look out the window, and let my mind wander. Minutes after leaving the airport, we found ourselves driving through miles of ancient lava fields. Broken red rock stretched endlessly both sides, gorgeous and desolate. There were no roads, no buildings, no people—and in the quiet of our car, all I could hear was the eerie sound of wind blowing over the rocks. I remember thinking how much the landscape looked like an alien planet, and thinking how creepy would it be to wake up there, alone, without a clue to tell you where you were? And what if you were a teenager? And--because let’s be honest, isn’t this every teens’ worst nightmare? Or maybe just mine! lol—what if you woke up naked? Nil was born in that moment. That barren-red-rock visual locked in my head, and that's what Charley sees when she first opens her eyes on the island of Nil…that first moment when she wakes up with no cell, no clothes, and no clue. It was the first scene I wrote minutes after checking into our hotel. From that point forward, the story exploded in my head with the island at the story’s core. For me, islands offer the perfect mix of paradise and doom. The ocean provides a clear and ever-present barrier to escape, but at the same time, beaches embody natural beauty. The idea of being trapped in paradise gave me heaps of material to work with as I created the world of Nil . . . especially the idea of a dangerous paradise, one with cracks in the facade. What if the teens aren’t alone on the island—what if there are other creatures there too? Deadly ones? And what if some teens on Nil have more knowledge than others? What if the island has an entire history, a complicated backstory that creeps into the present? And of course, the year deadline was key. 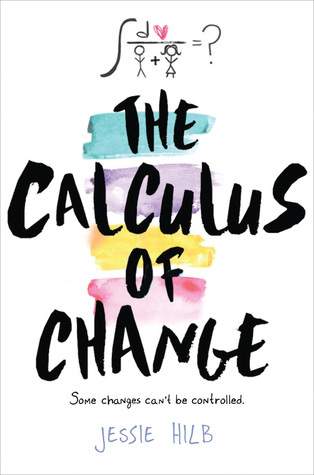 It’s how the teens choose to spend those precious, dwindling days that drives each book. In the end, the Nil series is more than just a survival story; it’s about love and friendship and above all, hope. Because without hope, we have nothing. Many of my characters felt that way, too. If you had to stop someone on the street and describe the Nil series to them in 25 words or less, how would you sum it up? Teens trapped on a mysterious island have one year to escape or they die. Think Survivor meets LOST with dashes of The Twilight Zone and lots of feels. From book to book, there has been a sort of passing of the torch between characters as we begin each new era in the series. Why was it so important in writing this series to have a successor or heir apparent to lead into the next book? For me, each book is told by the person who is best suited to tell the story and to move the entire Nil story forward. Each book had to not only share each individual character’s story and arc, but also had to tell a crucial part of Nil’s story—a story now told over three books. In Nil, Charley and Thad told their versions of one girl’s time on the island: Charley’s. But her stay on Nil was one blip in time… one moment in the island’s long history. I knew there was a full backstory to the island itself, but the first book wasn’t the right time or place to tell it. But Nil was the perfect place to start. In Nil, the teens are not only trapped by the island, they’re locked into the dual framework of survival and escape. Charley’s story introduces readers to both a newcomer and a veteran, allowing readers to feel the shock of arrival and holy-crap-where-am-I? moment, as well as the pain of constant waiting and fear of dwindling time that is felt by each Nil veteran. But there’s more to the island, and its story. I knew if I wanted to tell the readers about Nil’s past, I’d need another way to share that information—which led me to Skye, Maaka, and Paulo, and of course, Nil Unlocked. Plus Rives begged me to give him his own book. :) Readers meet Rives in NIL, and he becomes the link to the next book. In Nil Unlocked, Nil’s story continues with him, and through him. Rives is also in Nil On Fire, as are characters from both books one and two. But the biggest character that provides continuity through all three books? The island itself. And in Nil On Fire, the island finally gets its own point of view! The number of POVs increases as the series moves on, and even the island of Nil itself gains a perspective. Was the latter always the intention? What made you decide the island needed to speak for itself? Even though the POV’s change from book to book, the island is always there, as both the island setting and an evolving character in its own right. Because Nil is truly the heart of the story, it was the natural evolution of the trilogy for Nil to get its own POV. When I first started writing the series, honestly, Nil was a stand-alone. I knew there was a huge backstory to the island, but I also knew (as I mentioned above) that the first book was not the place to tell it. And once I got the go ahead to write book two, I knew that there would have to be a book three and that Nil would have a voice in that final book. 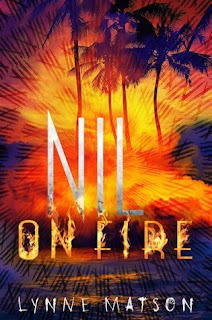 For readers to truly understand the island, I would have to let readers more deeply into Nil than ever before. Mantras or personal encouragements are a big part of surviving Nil and even life after the island. They are also very telling about a character. For example, in Nil on Fire, Rives says his dad's advice will never leave him: "Look around. Pay attention. Notice what others ignore." What role do you feel these constant reminders have in the books? Do you have words you live by?